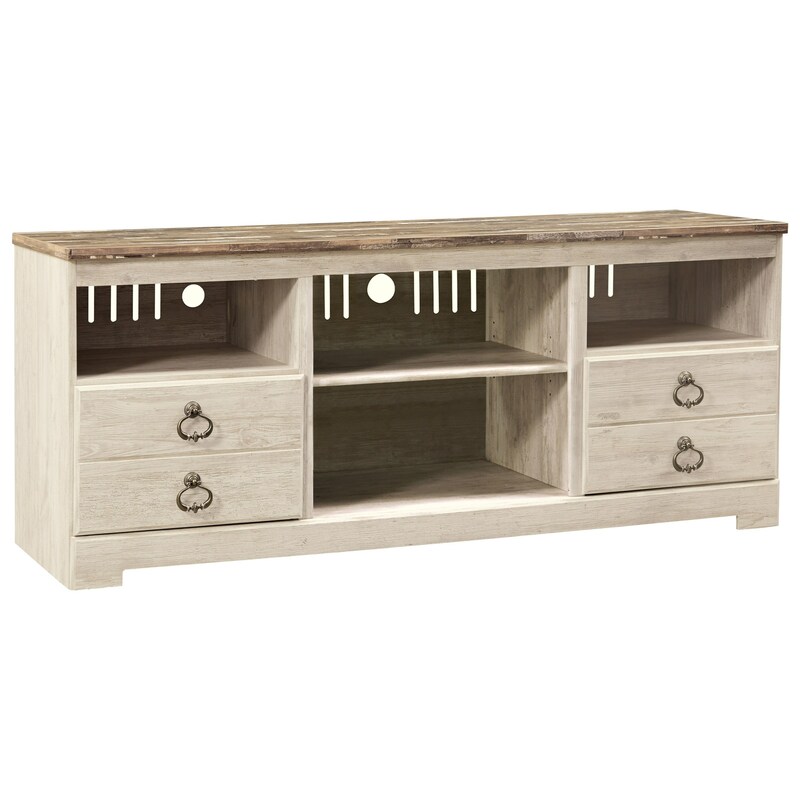 A rustic plank-style top and a worn-through look white finish give this TV stand a cottage appeal. It features ring pulls in an antique brass finish for a vintage-inspired design element. Storage includes two component shelves, two drawers, and open center compartment with adjustable middle shelf. The Willowton Two-Tone Large TV Stand by Signature Design by Ashley at Michael's Furniture Warehouse in the San Fernando & Los Angeles area. Product availability may vary. Contact us for the most current availability on this product.